Super Hot Deals!!! Sony will launched the biggest instant savings on three full frame mirrorless cameras. (Start Sunday November 18th 12:01AM EST). 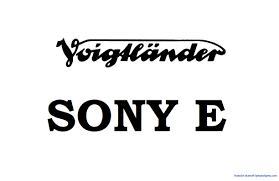 Sony A9 will cost $3,498 and Sony A7R III for $2,798 and Sony A7R II for $1,598! This means 2018 Black Friday & Cyber Monday Shopping is coming! 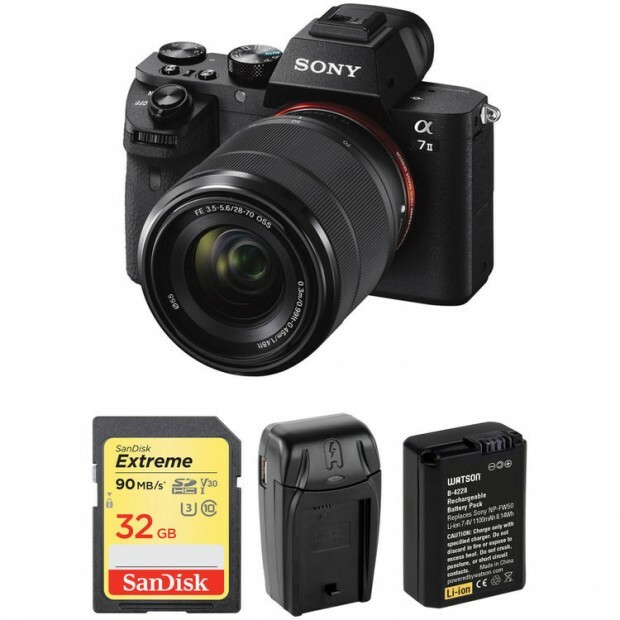 Hot Holiday Deal: Sony A6000 w/16-50mm and 55-210mm and Free Accessories Kit for $598! Super Hot Deal!!! B&H launched the biggest savings on Sony Alpha a6000 with 16-50mm and 55-210mm lenses and free Accessories kit for only $598! This is $400 cheaper than regular. This means 2018 Black Friday & Cyber Monday is coming near! 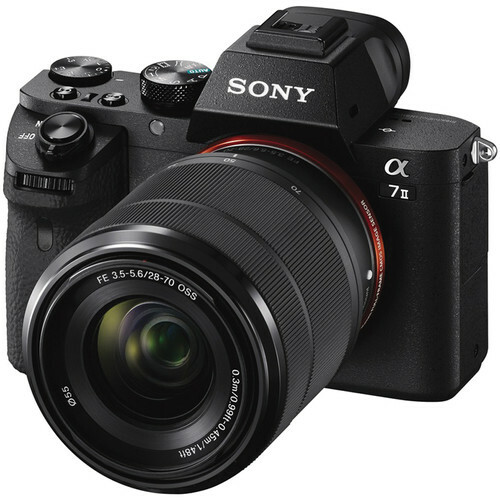 Super Hot Deal: Sony A7 II with 28-70mm Lens Deluxe Kit for $998! Super Hot!!! B&H and Focuscamera launched the greatest deal on Sony A7 II Mirrorless Digital Camera with FE 28-70mm f/3.5-5.6 OSS Lens kit for only $998! This is $600 cheaper than regular. You can also check price at Amazon/ Adorama. Hot Deal: Sony Alpha a7 II for $1,098! Super Hot!!! 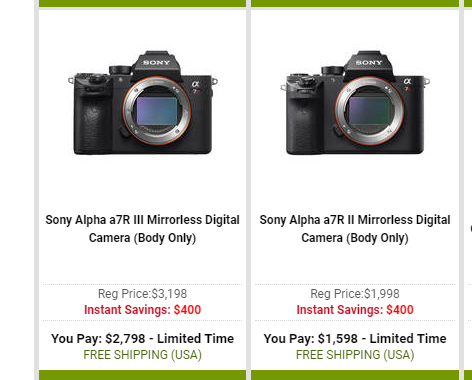 After the new Sony A7 III (Amazon/ B&H/ Adorama) was released, the price of the Sony A7 II Mirrorless Digital Camera has just dropped a lot. It is now for only $1,098 at Amazon/ B&H/ Adorama. This is $300 cheaper than regular. Super Hot!!! Today, eBay launched a very hot flash coupon sale: 10% off a purchase of everything with non minimum, using the coupon code PICKUPTEN. The maximum discount is $100! The sale ends tomorrow at 8 AM ET. Super Hot!!! 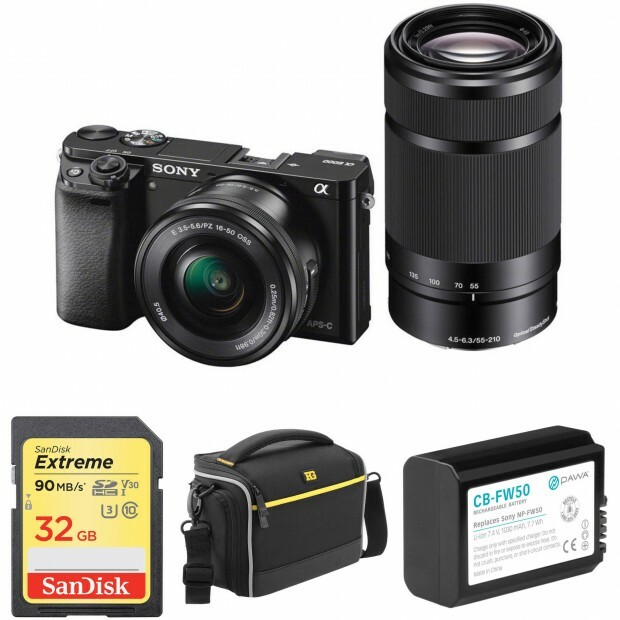 B&H has a great deal on the Mitakon Zhongyi Speedmaster 35mm f/0.95 Mark II Lens for only $419. This is $180 cheaper than Amazon/ Adorama, available for Sony E mount. This is for today only! Hot Deal: Sony A7R II for $1,798! Super Hot Deal!!! 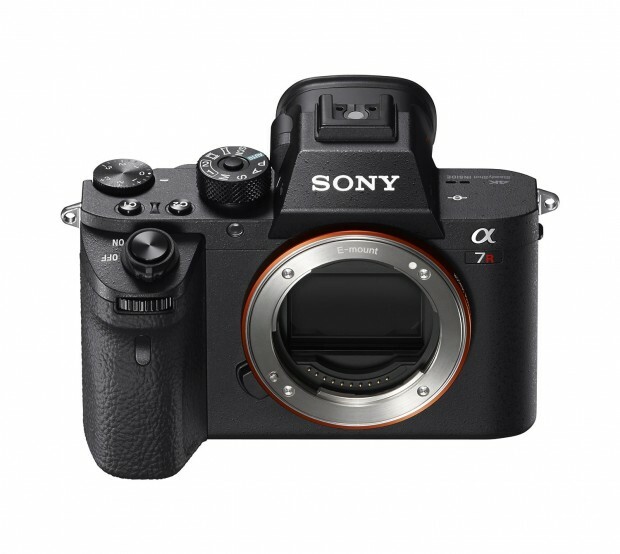 The price of Sony A7R II 42 MP Full-Frame Mirrorless Digital Camera has just dropped a lot! 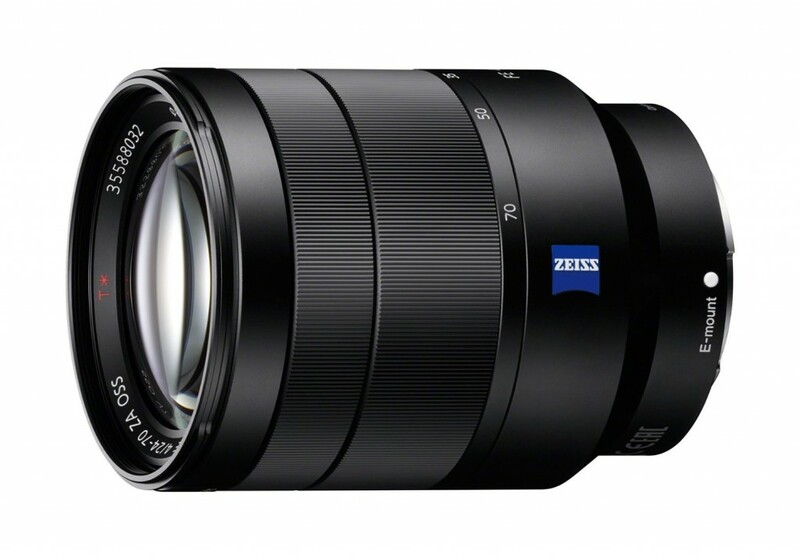 It is now for only $1,798 at Amazon/ B&H/ Adorama. This is the lowest price we have ever seen.